At the Florida Democratic Party Convention, held October 30-November 1, Democratic National Committee Chair Debbie Wasserman Schultz claimed, “The Florida Democratic Party is back and better than ever.” Also back, it would seem, is the national party’s misguided emphasis on gun control. 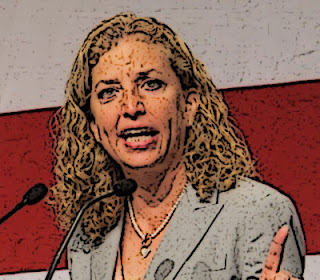 Wasserman Schultz’ excited rhetoric comes on the heals of Democratic presidential candidate Hillary Clinton’s comments rejecting the Supreme Court’s holding that the Second Amendment protects an individual right and an endorsement of Australia-style gun confiscation. Together, the pair appear intent on branding Democrats as the party of severe gun controls; a label that has rarely served it well. Wasserman Schultz and Clinton would do well to heed the warnings former President Bill Clinton. As recently as 2013, Bill warned Democrats, in relation to the gun issue, not to “patronize the passionate supporters of your opponents,” noting that passing the 1994 semi-auto ban “devastated” the party in the House of Representatives. Bill made this same point in his autobiography, My Life, where he wrote of the 1994 election, “On November 8, we got the living daylights beat out of us, losing eight Senate races and fifty-four House seats, the largest defeat for our party since 1946....The NRA had a great night.” Elaborating, Bill wrote, “The gun lobby claimed to have defeated nineteen of the twenty-four members on its hit list. They did at least that much damage…” Later in the book, Bill credits the NRA with helping to defeat Al Gore in 2000. These and other experiences led some to question the national party’s commitment to gun control, and advocate for a more pragmatic approach. In 2005, no less an anti-gun zealot than then Democratic Congressional Campaign Committee Chair Rahm Emanuel was quoted in a Boston Globe article titled “Democrats Recast Gun Control Image,” as stating that Democratic candidates “[have] got to reflect their districts” on the issue. While running for president in 2008 and 2012, Barack Obama did his best to conceal his anti-gun positions. Moreover, just this week, a bevy of writers for the Washington Post reflected on the degree to which support for gun control, and the interjection of Michael Bloomberg’s millions, cost the Democrats a majority in the Virginia State Senate. NRA is nonpartisan, and therefore supports politicians of any political party who demonstrate a legitimate respect for the right to keep and bear arms. However, if history is any guide, Wasserman Schultz and Clinton’s insistence that their party advocate against the Second Amendment rights of the American people could once again lead Democrats down the road to ruin. Read more at Institute for Legislative Action. The Obama Intifada against America continues apace. I thought Debbie had worn out her kneepads but now I see she's so short she never needed them.